While providing a friendly hometown banking atmosphere since 1910 has been our mission, we also strive to be an outstanding corporate citizen, taking pride in our service to the community where our customers and employees live and work. Many of our officers are board members of various nonprofit and civic organizations, such as Habitat for Humanity, the Life Crisis Center, Women Supporting Women, and the Greater Salisbury Committee. In addition, local chapters of Rotary, Soroptimist, Chambers of Commerce, and Lions are proudly attended by Hebron Savings Bank representatives. Fundraising, decision making, and organization of local events are all important initiatives among these supporters. 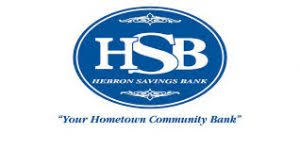 Teams made up of Hebron Savings Bank employees have become pivotal in support of local community events such as the Relay for Life (Supporting the American Cancer Society) and the Alzheimer’s Association walks. Fundraising for these events takes place throughout the year with fun activities such as paint nights, candy sales, and coin collections. Dozens of employees have recently represented Hebron Savings Bank, walking and participating in team activities, placing us within the top five of earning teams for both events! The directors, officers and employees of Hebron Savings Bank are privileged to be able to “give back” to Delmarva, and hope to continue to be an upstanding member of our community, as well as a provider of excellent banking services for years to come!